Schematic of two possible ways to extend normal thickness continental lithosphere. 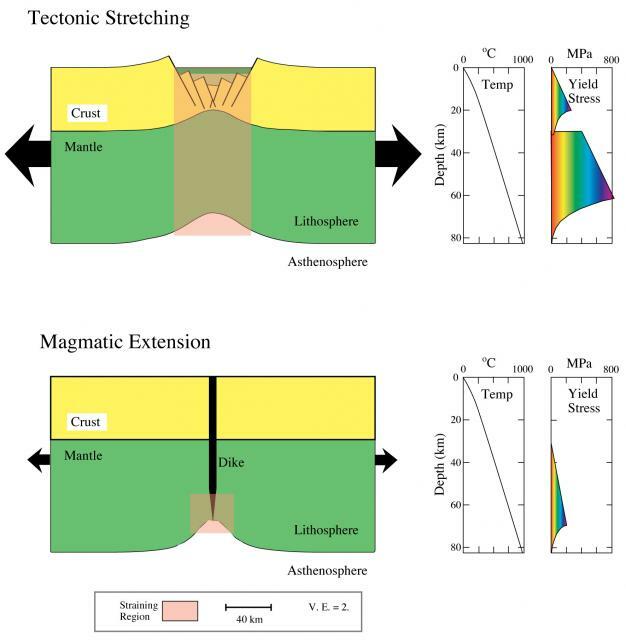 Note the large difference in the yield stress, the stress difference needed to get extensional separation of two lithospheric blocks (a) without and (b) with magmatic intrusion. From Buck (2006).